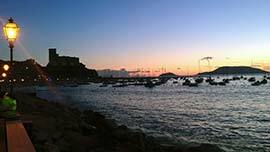 The village, founded around the year Thousand, gained over time forts and deep seamen traditions. The presence of architectural elements of great value, such as loggias, porches, etc. 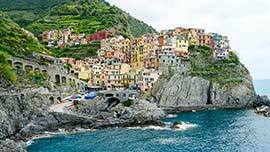 gives evidence that the standard of living of the corresponding periods was economically and socially higher to those of the other centres of the Cinque Terre. 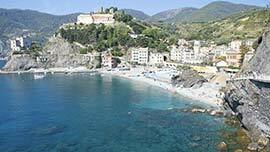 Monterosso Al Mare, the utmost eastern centre of the Cinque Terre, can be reached walking by following the most difficult section of the “blue path” ("sentiero azzurro"). You need to exit the village and start going up towards the cemetery, which skirts the path. 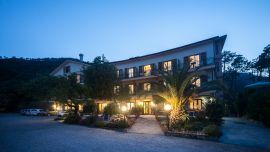 The bridle path is in steep gradient: one quickly reaches the altitude of 150 meters; from this moment on, one will continue, slightly going up and down, till the precipitous descent towards Monterosso. Going forward, one goes through the Mediterranean maquis which covers the now abandoned pieces of land. The vegetation is quite diverse, you can find holm oaks, arbutus, white heather, Spanish broom, and juniper. Vernazza • Via Gavino, 4 (SP) Center: mt. Sea: mt. Highway: mt. 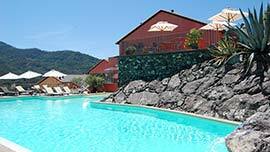 Sorriso C. M. is a Hotel situated in Vernazza, Five Lands area in Liguria. 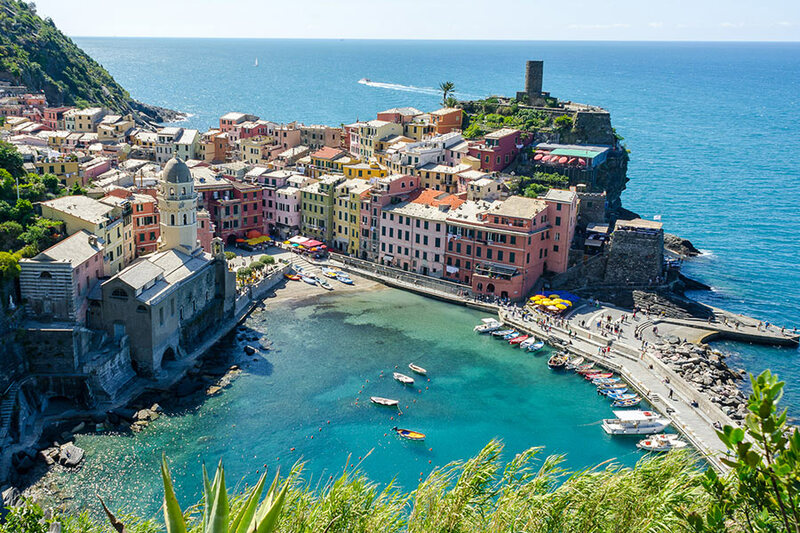 Vernazza • P.zza Marconi, 1 () Center: mt. Sea: mt. Highway: mt. 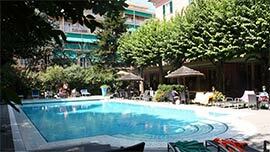 Gianni is a Hotel situated in Vernazza, Five Lands area in Liguria. Vernazza • P.zza Marconi, 30 (SP) Center: mt. Sea: mt. Highway: mt. 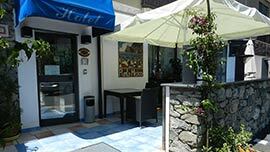 Barbara is a Hotel situated in Vernazza, Five Lands area in Liguria. Monterosso al Mare • Località Minali (SP) Center: 1500mt. Sea: 1000mt. Highway: 20000mt. Monterosso al Mare • Via Molinelli, 35 (SP) Center: 0mt. Sea: 10mt. Highway: 20000mt. Levanto • Via Sant'Anna s.n. (SP) Center: 800mt. Sea: 1000mt. Highway: 1200mt. 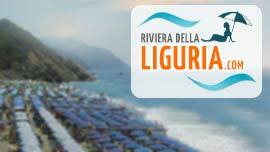 Lerici • Lungomare Biaggini, 5 (SP) Center: 50mt. Sea: 10mt. Highway: 12000mt. 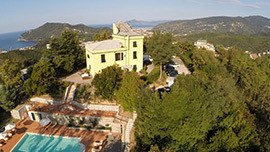 Deiva Marina • Corso Italia 23 (SP) Center: 0mt. Sea: 100mt. Highway: 7000mt. 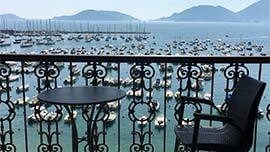 Sestri Levante • Via Aurelia, 261 (GE) Center: 5000mt. Sea: 5000mt. Highway: 2000mt.